Inganess is a lovely little beach found just on the outskirts of Kirkwall. The bay is dominated by the wreck of the Juniata. Most beaches have something special to remember them by, and Inganess is no different. 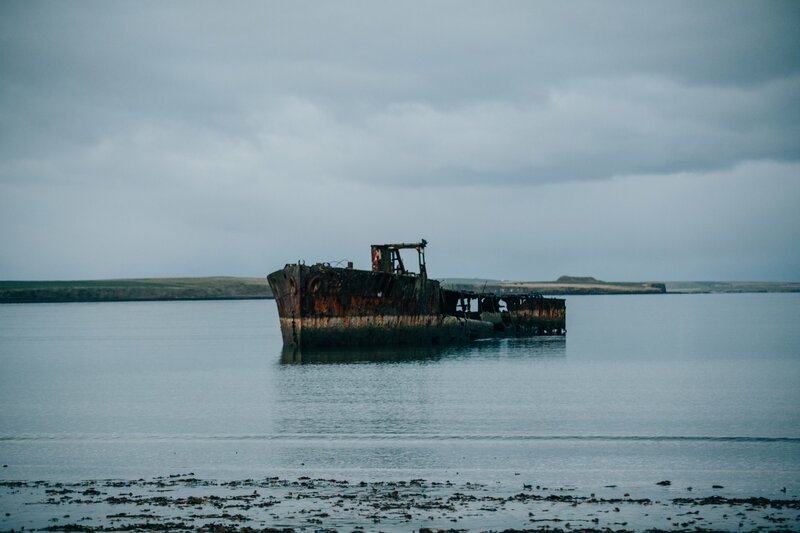 Just a stone's throw from Kirkwall, the first thing you'll see when heading down the steep hill to the bay below is the rusting wreck of the Juniata, a former WWII blockship at the Churchill Barriers, which was towed ashore during a salvage operation. It now sits overlooking this small, sandy bay, popular with the town's walkers and their canine friends. You'll find a small car park and picnic area next to the beach, which sits on the flight path for Loganair's Inter-Isles planes landing at nearby Kirkwall Airport. Inganess isn't the biggest beach in Orkney, but its location, and the dramatic wreck of the Juniata, means it's well worth a visit. There are a number of walks in the area too, perfect for spotting sea and birdlife.